NOTE: This is an ongoing work in progress. Please email me if you’d like to contribute to this glossary. 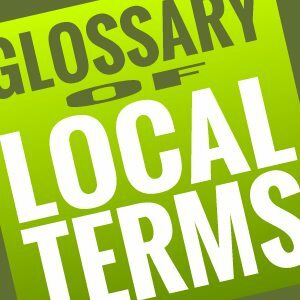 To help you get started with the terms associated with local search I’ve provided this guide to the terms and techniques used in the process. Many of these terms are behind the priority local search ranking factors. Please feel free to comment and add to this ongoing. N.A.P. – This is the heart of your business identity online. It stands for Name, Address and Phone Number. It’s essential to establish this based on the registered name of your business and it should match everything across the internet. If possible it’s ideal to have your product or service in your name but don’t do this if your name is already established. NAP Consistency as you go forward is essential so get it right from the start. Citations – A citation is a listing of your business NAP somewhere on the internet. A citation can contain more information about your business including a link back to your website. Citations can be claimed by the business owner and enhanced with keyword-rich descriptions, multiple categories, logos, photos, reviews, etc. Often, claiming a listing will give you extra visibilty in the results where it will label your listing prominently with “Owner Verified” or similar text to establish trust. Claimed/Unclaimed Citations – Your business data can get distributed across the internet in different ways. Many times this is just basic information which would be considered an unclaimed citation. A claimed citation usually involves some form of verification or account setup that will likely allow you to enhance the listing with detailed information. Structured Citations – Directories and lists of business information such as Yellow Pages sites and Directories. Unstructured Citations – Sites where your business might be listed but not in a structure that is navigable by category such as newspapers, blogs, etc. Reviews – A review is a a customer’s comments and opinions on an external citation site. Reviews can appear on any number of websites including Google+ and other secondary websites like YP.com and Yelp. Volume and quality of reviews are an important part of local search rankings. They also increase the visibility of the business in different ways by adding stars or other graphic elements that catch the eye. Directories – Directories are categorized listings of websites and businesses. Directories like YP.com are common sources for citations. Please note that all directories are not created equal so plan your time wisely when taking the time to claim and optimize your listings. Google+ – Google’s social platform. It contains local business information that can show up in the “blended search results” within Google. Google+ Local Business Listings are considered the heart of Google Local Search and a priority citation and review source. Blended Search Results – Google and other search engines will mix in local search data in different ways throughout the search results. 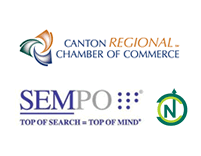 Common on Google is what’s called the local 7 pack — a listing of locally relevant businesses that are often listed first in the search results. Other methods include showing business data directly in the search results, embedded maps, etc. Centroid – The center of a city, town or burb. Social ID – An account on a social media site such as Twitter, Foursquare, Google+ and Facebook that’s associated with your business NAP. Links – Essentially any direct reference to or within your website from another website. Links can be an important ranking factor but quality, quantity, link text and many other factors figure into which links actually increase your website authority and rankings. In short — not all links are created equal. Domain Authority – Domain authority is essentially the strength of your website compared to other websites. It’s usually presented as a value such as 30/100 or similar. Links are a major factor when determining overall domain authority — among many, many other factors. Domain authority is one of the main reasons why one website will rank above another. → What can you expect when implementing a content marketing campaign?